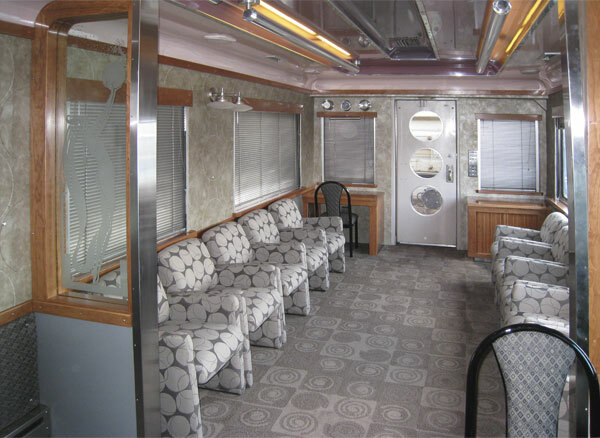 One of the most widely traveled privately-owned cars, it was recently refurbished in the art-deco style, and has features that include an open platform, 10 comfortable lounge chairs, oversize lounge windows, and luxurious sleeping accommodations. The all-private-room sleeping accommodations include 1 master bedroom with a double bed and its own shower; 4 conventional Pullman bedrooms each with an upper and lower bed and private toilet annex. A general shower is down the hall. The dining area seats 8 and is served by a full kitchen. Caritas is fully winterized. 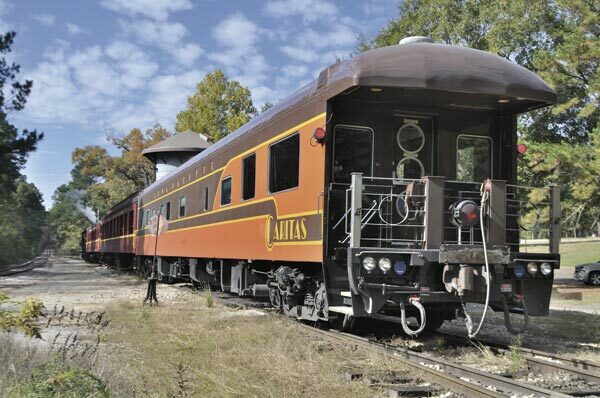 Built in 1948 by Pullman-Standard as a 14 roomette, 4 bedroom sleeper for the St. Louis-San Francisco RR’s crack streamliner The Texas Special. It was sold to the CN in 1965 and was in regular service on the Super-Continental. Retired in 1982 and purchased by High Iron and completely rebuilt and modernized. The Caritas began its new life as the premier “rare mileage car” in November, 1984.